Chavela, also referred to as Cerveza Preparada, or Mexican Bloody Mary, is a drink from Mexico that dates back to the 1940’s. 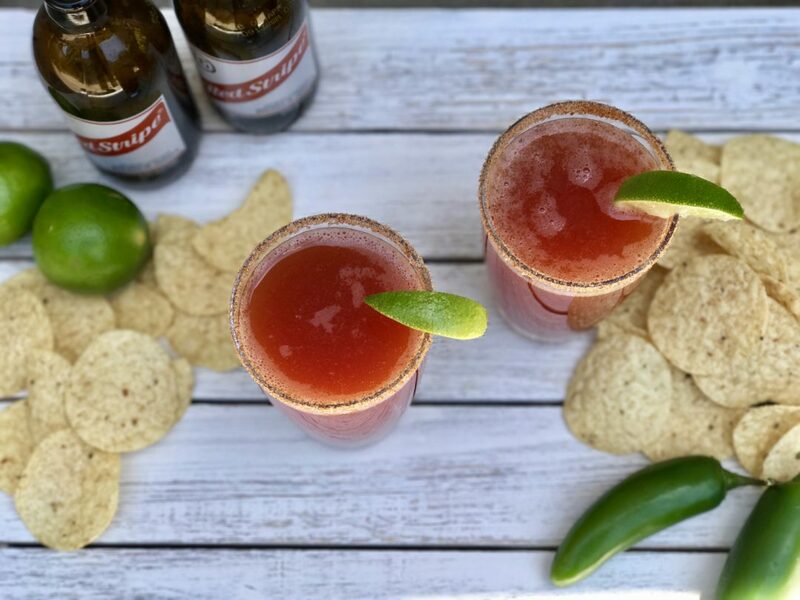 Although there are many variations on how to make this beer-based beverage, the one I make is a traditional version made with light beer (preferably Mexican), tomato juice (although many prefer Clamato), fresh lemon juice, hot sauce and my little secret, a splash of tequila on top. 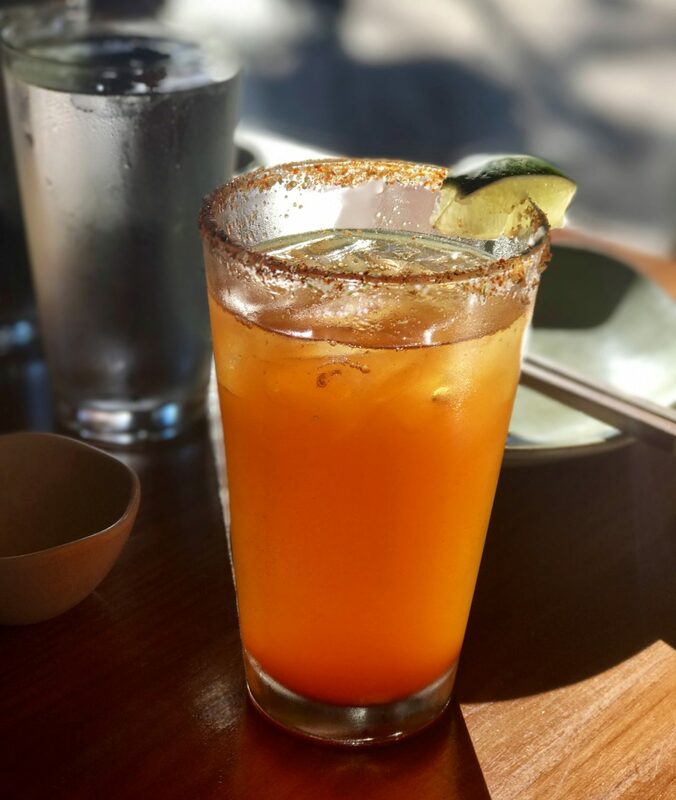 I will admit that when my husband first ordered a Michelada, a variation that you can sometimes see in 40 oz “tall boys” at markets, the drink did not look or sound all that appealing to me. And learning that in various parts of the US, people call this type of drink “red beer” or “red eye” or “red rooster” did not help. But the drink surprised me and it may surprise you. The tomato and lemon juices complement the chilled, carbonated beer. The hot sauce and tequila, which you can adjust to your taste, make it a bit more complex. And who does not love a salty, seasoned glass rim? Although referred to as a Mexican bloody Mary, as an avid lover of Bloody Mary’s I think it is a vastly different drink. Lighter and a bit less filling (which may be surprising to some), this is a great drink on a warm summer evening when you’re relaxing in your backyard. 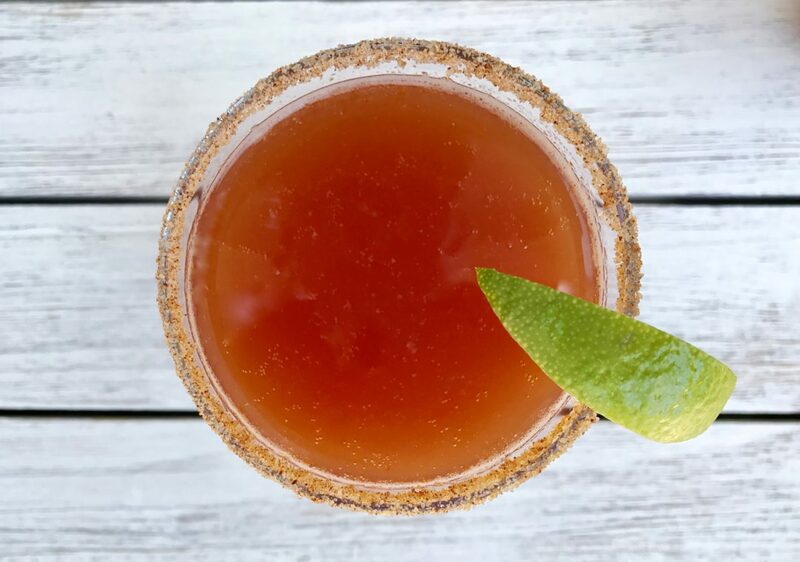 The preparation of this drink is simple: after adding the spiced tomato mixture to the glass first, the beer is then poured from high above the glass to allow the contents to mix well on its own. Serve it in a well chilled glass. Even those who are not big beer drinkers should consider trying this slightly unusual beverage. A salty, spicy refreshing cooler will pair well with anything you would serve at a backyard BBQ or hold up against a rich pan seared filet any day. One of my favorite things about this drink is the amazing color. 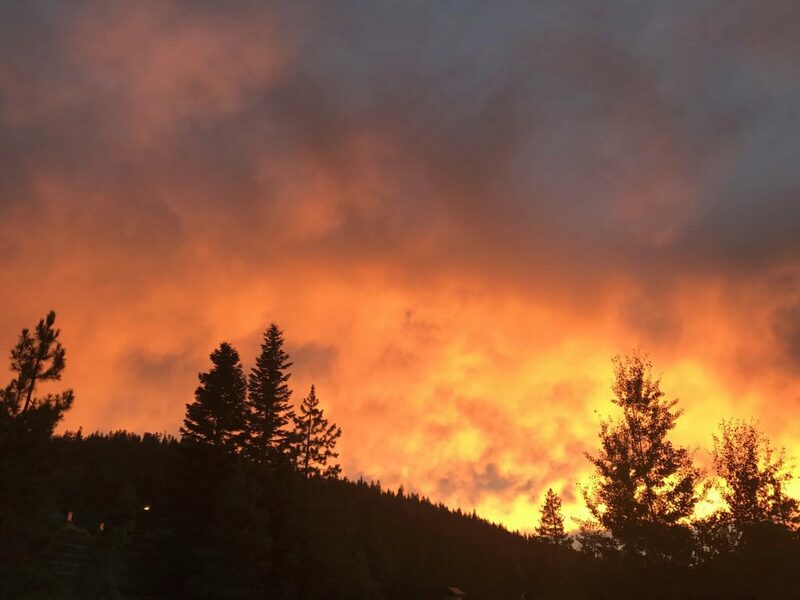 Chavela is stunning to look at, similar to a sunset rich with orange and red hues. I was recently in the Sierra mountains and my husband and I caught an incredible sunset that evening. It looked like a fire and a little like the Chavela my husband had ordered the night before. Step 1 Rub the lemon wedge around the rim of the glass, reserve the wedge for garnish. Step 2 Pour some sriracha salt onto a small saucer, dip the rim of the glass into the salt to coat. Set aside. Step 3 Add some ice to the glass or alternatively, omit the ice if the beer and tomato juice are already well chilled. Step 4 To the prepared glass add the tomato juice, lemon juice and hot sauce and mix well. Step 5 Add the beer to fill. Add a splash of tequila to the top. Step 6 Garnish with a lemon wedge. Enjoying the site. Lots of great ideas here. Since this is tomato canning season, think about using the tomato water that is a byproduct of canning process (it’s the liquid that you squeeze from whole tomatoes before they go in the jar) instead of the puree-like store-bought tomato juice. Tomato water has pure tomato flavor and a much more attractive consistency. I use it in all sorts of drinks (a tomato water margarita is lovely) and also as a substitute for broth in soups and rice dishes. Even better: if you are canning salsa, the “salsa water ” that remains after you strain the solids for canning is the world’s best tomato juice. Cheers! Thanks Bill, for following me and your great comment! I love the tomato water margarita idea, sounds delicious.